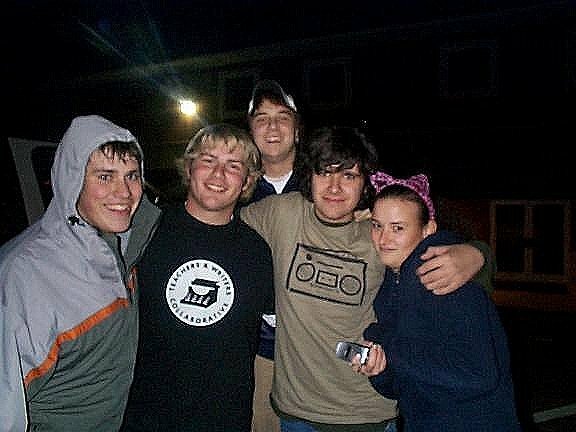 this was my group of friends in high school. i’m pretty sure i haven’t talked to a single one of them in almost ten years. relationships are hard work. not to be negative nancy here, but take a second and think of your close friends. now, after that, think about all of the other people you’ve hung out with or were once friends with who never made it to that “close friends” status or fell out of that category. the amount of people who aren’t in there is a lot higher than the amount who are. as we all grow up, so do our relationships. they either grow closer together or further apart. unfortunately for most of us, more relationships grow further apart than closer together. for every good friend we gain, we probably lose two or three friends. we lose those friends for a number of different reasons. sometimes we just go down different paths. sometimes we develop different interests. regardless of what you do, you start to realize that relationships are hard. but before you get too down, remember that jesus knows exactly how hard those relationships are. today is good friday. today signifies the day two of the closest friends jesus had turned their back on him. one of them completely betrayed him and turned their back on him for a few dollars. the other simply denied they knew each other. the difference is his friends basically had him murdered. there are times in life when i go through things that are hard. they aren’t fun. they hurt. and unfortunately, there’s nothing i can do to change them. however, fortunately for all of us, jesus has been through all of that. he knows exactly how we feel. he knows exactly what we’re going through. our relationships may be hard. our relationship with jesus doesn’t have to be.